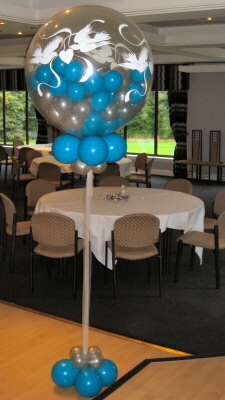 What is the ideal size for single round balloon centerpieces? Should I do it with a 17" or 24" balloon? Greetings all the way over to Brazil! I am not a 100% clear about your question, as you are talking about a centerpiece, but you have actually submitted a photo of a floor standing balloon column. 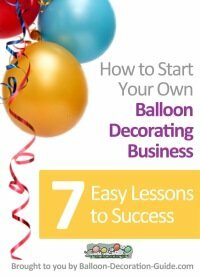 If your question refers to a table centerpiece with a single floating balloon, I would say it depends on the size of the tables and the room overall. If the room is spacious enough, you'll achieve a more impressive look with the 24" balloons. If the room and/or tables are rather small, I would go for the 18" (I don't see 17" balloons in Qualatex' latex balloon chart). 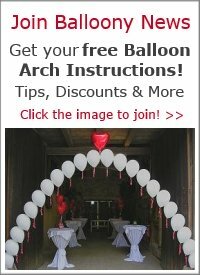 Comments for Ideal size for single round balloon centerpieces? With "Brazil column," you are referring to the image that Eleonore uploaded with her question, right? For this type of column, you'll need a base and a pole, 5 inch balloons in two different colors and a transparent 36" balloons for the topper. 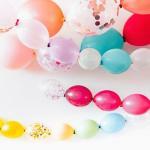 You can fill the balloons with a hand pump, but it would be much easier if you used an electrical inflator. 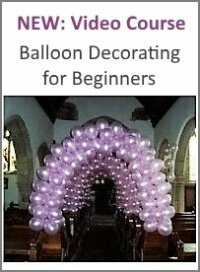 We have step-by-step instructions for making a balloon column stand. Simply make it smaller for this type of decoration. You can get 36 inch transparent balloons at Amazon, but I haven't found one with the same design as shown in the image above. Hi. I saw your Brazil column and would like to know what did you use for the column and where did you get the 36in balloon from.